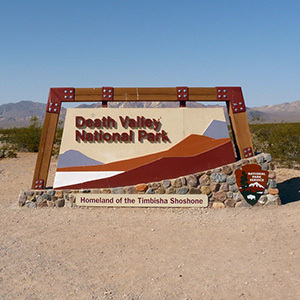 Tour highlights include time in three unique settings: Joshua Tree National Park, Death Valley National Park, and Ash Meadows National Wildlife Refuge. 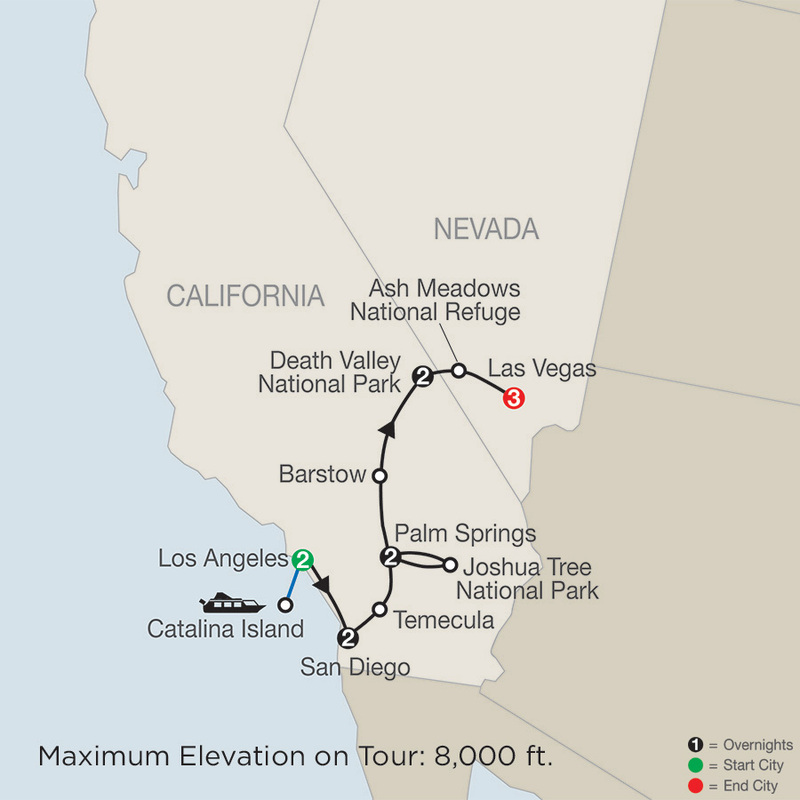 Joshua Tree National Park contains two deserts and two large ecosystems. Here, enjoy a jeep tour to learn about the area's geology, fascinating plants and animals, and rich history. Ash Meadows National Refuge is the largest remaining oasis in the Mojave Desert and home to nearly 30 species of plants and animals that don't exist anyplace else on earth. Here, stroll the boardwalks and learn about this unique area. On this Southern California tour, you'll also experience vibrant cities. From Los Angeles, take a high speed ferry to beautiful Catalina Island and enjoy a guided tour, another great experience offered by Globus. In San Diego, your sightseeing features Old Town, Balboa Park, and the historic Gaslamp Quarter. Also in San Diego, enjoy lunch at the impressive Hotel Del Coronado, San Diego's legendary seaside resort and return to San Diego via a scenic ferry-another special experience offered by Globus. Your time in Palm Springs includes an aerial tram ride on the world's largest rotating tramcar. $3,509.00 Includes intra-vacat... Book Now!